Thomas Dunne Books, 9781250032768, 311pp. ""Lamar Herrin's Fractures is a brilliantly conceived and executed novel that illustrates how coping with familial dysfunctions can help us understand and deal with the more deadly dysfunctions of society. Here's one of my favorite writers at his finest." Ron Hansen, author of The Assassination of Jesse James. LAMAR HERRIN's short stories have appeared in The New Yorker, Harper's, Epoch, and The Paris Review, which awarded him its Aga Kahn fiction prize. He is professor emeritus of creative writing and contemporary literature at Cornell University and has taught many bestselling authors such as Philip Gourevitch, Philipp Meyer, and Melissa Bank. Together with his wife, Amparo, he splits his time between Ithaca, New York and Valencia, Spain. 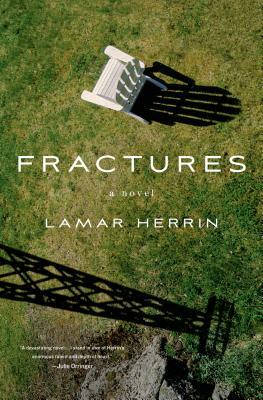 "Lamar Herrin's Fractures is a brilliantly conceived and executed novel that illustrates how coping with familial dysfunctions can help us understand and deal with the more deadly dysfunctions of society. Here's one of my favorite writers at his finest."